Cadillac Live allows potential customers to speak one-on-one with a Cadillac Live Agent from your mobile device or computer. 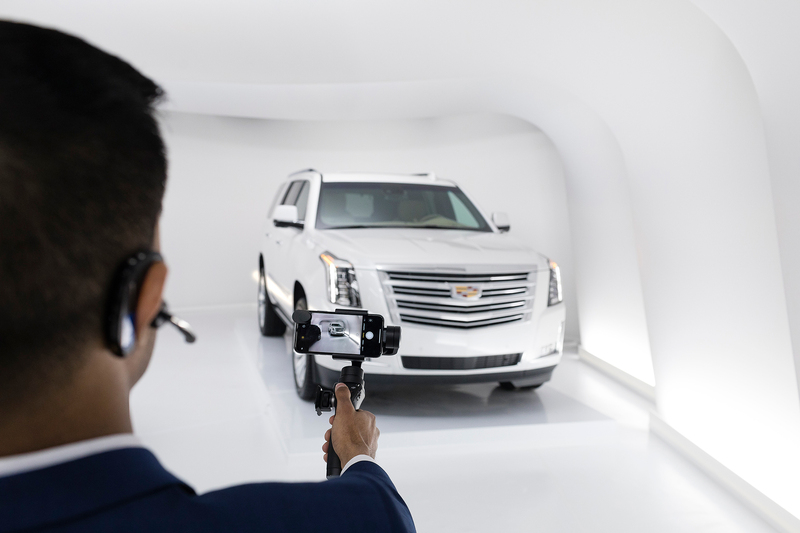 To do this, Cadillac turned a 10,000-square foot film studio in Toronto into an online showroom filled with their latest vehicles including the 2019 CTS-V, CT6, XT4, XT5 and Escalade. As new Cadillac vehicles are announced, they’ll be added to the showroom on an ongoing basis. In order to experience Cadillac Live, just head the website and you can either book a session or wait in line for the next available agent. Cadillac Live sessions are available between 6 PM and 2 AM ET from Sunday to Thursday. I had the chance to demo Cadillac Live and after putting in my info and which vehicle I’m interested, there was a fairly short wait to connect with an agent. Keep in mind that this was at like 9:30 pm on a Wednesday but after like 2-3 mins, I was connected with my Cadillac Live Agent, Lily. Each of the Live Agents, like Lily the one I spoke with, are equipped with an iPhone X, an Osmo Mobile gimbal and a Bluetooth headset. 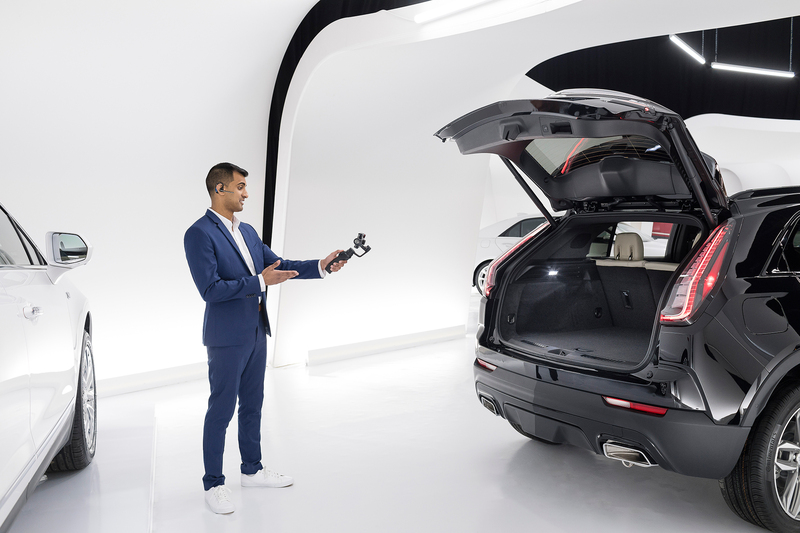 Cadillac Live allows you to talk to an agent via one-way video or via text chat. That means, you’ll see the agent whatever they show you but they can’t see you. The right side of the Cadillac Live interface is where you’ll see all the different vehicles available in the showroom and be able to check out different colours, trim, wheels and more. The video quality is good but it’s not super crisp but that could do to the video being live-streamed. My Cadillac Live Agent, Lily was able to easily answer any question I had about the vehicles in the showroom during the session. I was able to check out the CTS-V, CT6 and the XT4 and my Live Agent was able to show me around the vehicles and inside and demo the infotainment system. After my session, I was sent an email with all the relevant details about the vehicles I saw and an option to book a test drive. Overall, Cadillac Live is a cool experience to try at least once. It’s also an indication of where the auto industry could be headed in the future.